One of our joys here at Project Nursery is getting to watch families grow up. Sometimes we see each new nursery as a new baby is added to the family, or sometimes we get to see a nursery transition into a big kid room. 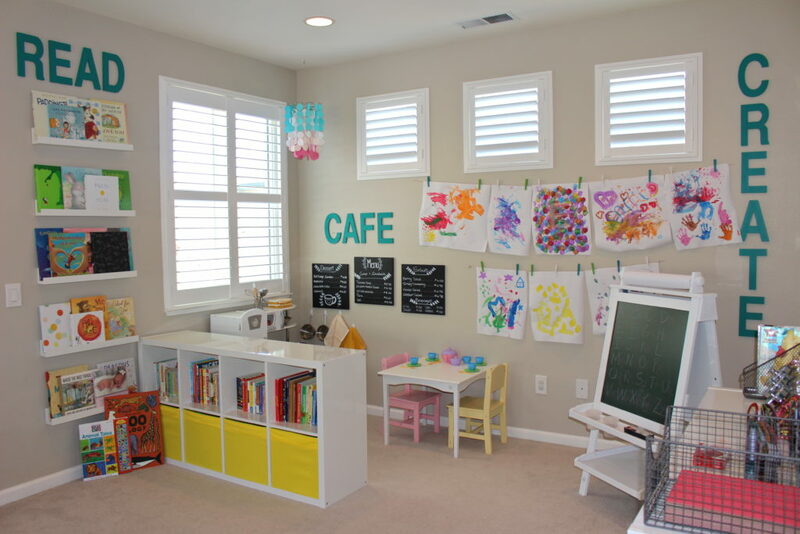 In this case, we get to see how a playroom can evolve and grow with a child thanks to one very creative mama. First we saw the playroom set up preschool style with different zones for different activities for her daughter. This little kitchen space is perfect for a tiny chef just starting her culinary adventures. Art supplies are safely tucked into their own containers but still left in plain sight for when inspiration strikes. 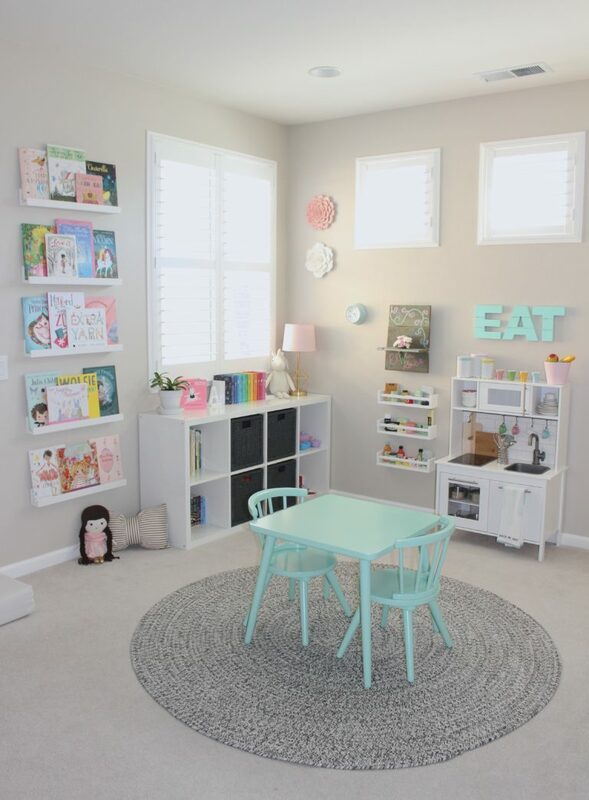 A year later, the playroom was updated to better suit her growing daughter. When your child is a little older, you can organize crayons and colored pencils out in the open for easier access. 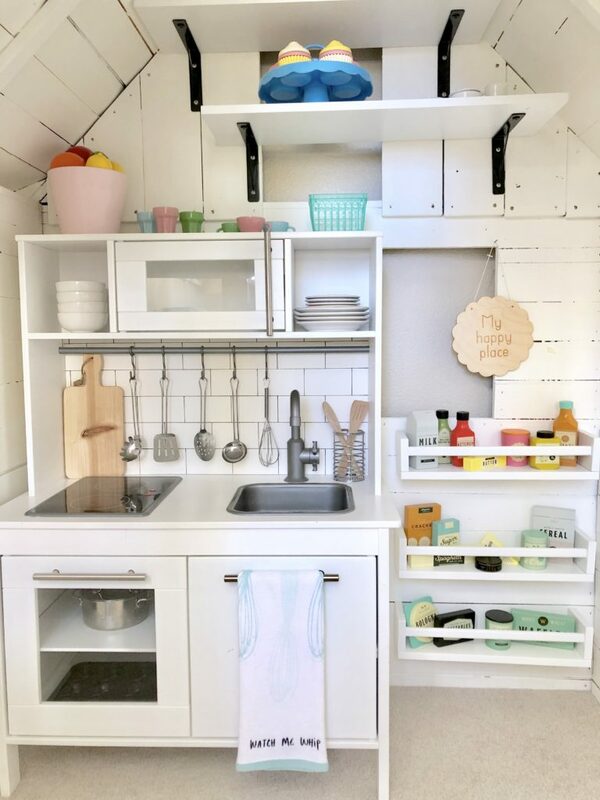 The tiny plastic kitchen got an upgrade to a sweet little IKEA kitchen with special details. Then the playroom got an upgrade that we love—bringing a playhouse indoors! The little kitchen moved inside and more storage was added for a full kitchen experience. The latest update is even simpler than the rest. Sometimes all it takes to get renewed interest in a space is a little reorganization! While the playhouse is used a little less often, it still lives there but now in its own nook with a sweet little cafe setup next to it. 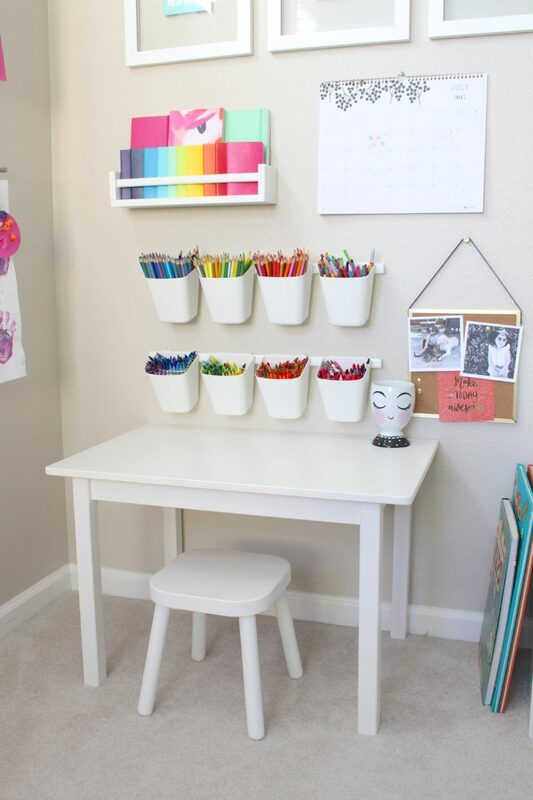 We love these ideas for how to make a space keep working for you as your child gets older. Don’t be afraid to do small updates along the way to keep your child engaged. Thank you to mama, Shannon, for sharing all these great ideas! You can see more of her projects here. 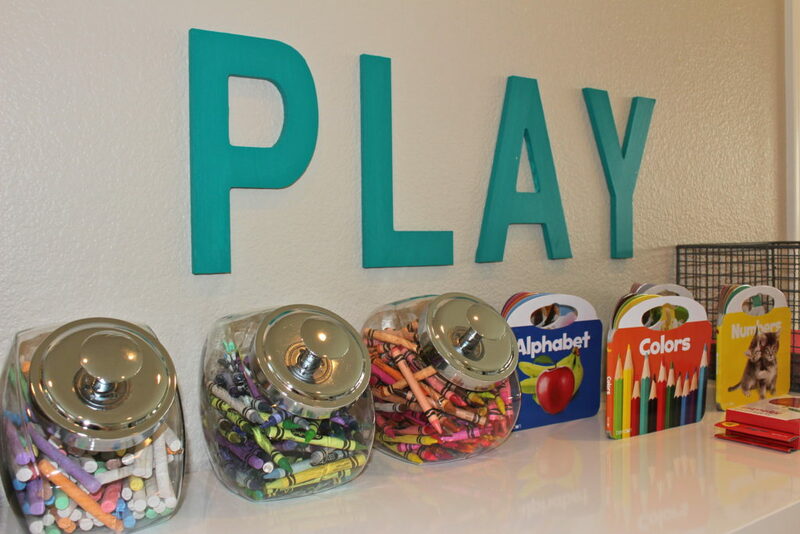 Thank you so much for this sweet feature on our playroom! I have enjoyed being able to share the changes with the Project Nursery community over the years. Where are the floating bookshelves from? Hi Sara, the book ledges are from Crate & Kids. Where is that adorable table and chair set from? ?